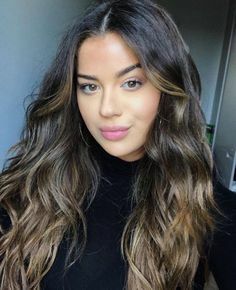 Tessa Brooks is an American dancer, actress and model. She is famous for her self-titled YouTube channel, where she has over 3.5 million subscribers and growing. She has been a part of the immaBEAST dance crew, and worked as a dancer with international traveling dance convention, The PULSE on Tour. She has performed at the prestigious events such as Miss California Pageant, Disney’s Next Big Thing, and the Haiti Benefit Concert. As a model, she has advertised for leading brands such as kechers, Contours Designs and Coca-Cola. She often collaborates with other youtubers, such as Jake Paul and Erika Costell. Born on April 5, 1999 in Fresno, California, she has two sisters, and one older step-sister. She started attending dance classes at a fairly young age of two. In 2017, she began dating Chance Sutton. Siblings: She has two sisters, and one older step-sister. *She was born on April 9, 1999 in California, USA. *While in high school, she was a cheerleader, and also played soccer. *She performed at several events like Miss California. *She was a member of the social group called Team 10.